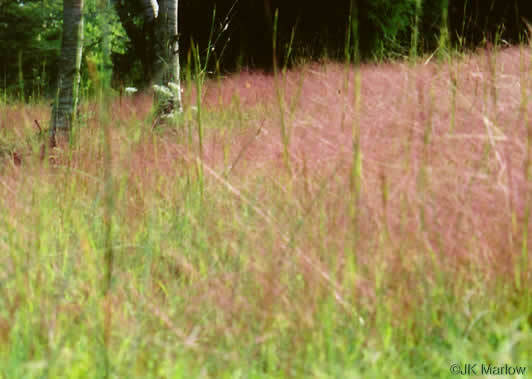 Airy panicles of reddish-purple flower spikelets rise to a height of 1-2', per Gardening with the Native Plants of Tennessee. 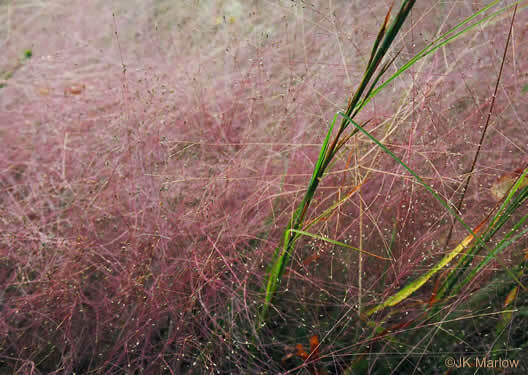 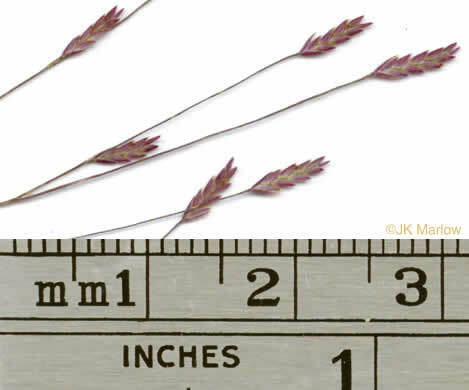 Panicle 2/3 the height of the culm, diffuse, bright purple (rarely pale), per Manual of the Grasses of the United States. 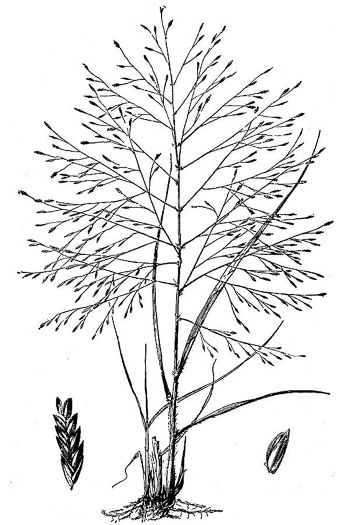 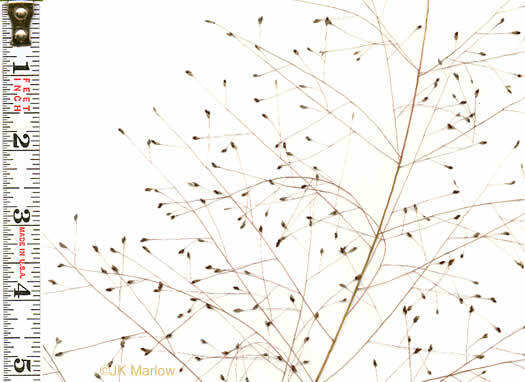 Profusely & finely branched panicle, rigid upright, turning purple, per Forest Plants of the Southeast and Their Wildlife Uses. 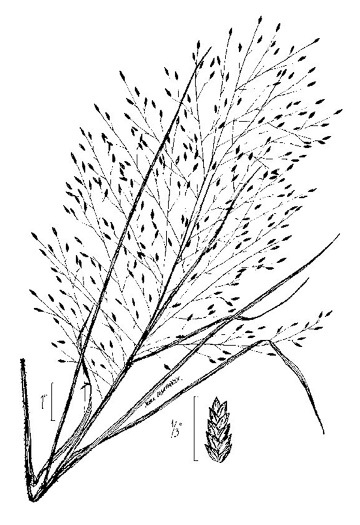 Spikelets flattened clusters of 2-10 flowers in a herringbone arrangement, per Forest Plants of the Southeast and Their Wildlife Uses.